After an exciting weekend that featured a fantastic mix of old and new decks and some high drama around the Player of the Year race, we have crowned Mono-Red Aggro at the top of yet another major 2015 Magic tournament, this time in the hands of the cool and collected Joel Larsson. Despite finishing 2nd, Owen Turtenwald’s “best player in the world” Mike Sigrist rockets to the top of the Player of the Year race on the back of his GP win earlier in the season and his excellent finish this weekend. The last minute shift represented a bittersweet end of season for Eric Froelich, aka EFro, who has hoped to punctuate his election to the Magic Hall of Fame with a Player of the Year title he held the lead on for weeks. In the quarters, Sigirst took out the Yamamato piloted Abzan Control deck that has been showing up at top tables for months, amply demonstrating that Thopters are pushing hard into Tier 1. Australian Paul Jackson was able to take out one of the other U/R Thopter decks with his familiar G/R Devotion deck. Pat Cox was eliminated from the brackets by Matt Sperling, with Abzan Control surviving a commonly close call against Red Aggro. Joel Larsson also triumphed in a mirror match against Stephen Neal. In the semis, Sigrist took out G/R Devotion, while Larsson dispatched the last of the Abzan decks, knocking out Sperling. Finally, Larsson’s Red Aggro build took down the U/R Thopters deck after an anti-climatic 5-game set, when Sigrist was forced to mulligan down to 3 in the final game. With the final Pro Tour stop in the bag, we now look ahead to a couple of months of full power Standard before the big shakeup of Battle for Zendikar knocking the entire Theros block out of Standard in early October. If last week was the coming out party for the self-multiplying robot crew, this week has cemented its’ position in the metagame. Found as a 4-of in both of the U/R Thopter decks that made Top 8, including the Sigrist deck that finished 2nd, the only question left is whether this card could also find a home in Modern Affinity or some other sweeper resistant value build. For now it’s enough that the card has peaked around $15, a level that will only be sustainable if the home archetypes continue to do well. If you picked them up under $10, I think you can safely get out now with pride, but there is still a chance that this is our new Rabblemaster with a potential $25 price tag. Abbot showed up as a 4-of in many of the red decks that made up one of the largest archetype contingents of the weekend. It also easily demonstrated that a 2-power 2-drop with Prowess and additional upside is still as good now as when Seeker of the Way was cutting up opponents earlier this season. The card has peaked over 250% on the weekend to around $8, up from $3. Typically it’s tough for a rare from a summer set to hold over $5, so you can likely feel relatively safe trading on hype early this week if you have extras lying around. On the other hand, if the card manages to make an appearance in Modern later this year, then foils under $25 will start to look pretty attractive. I’ve certainly got a few foil sets stashed away on this premise, but conquering the power curve of Modern may prove too ambitious for this little beater. The other red rare from Origins to get played as a 4-of this weekend, was this versatile answer to everything from creatures to life totals to counterspells. It’s the kind of card that’s rarely exciting, but usually good and likely to hold at least $3-4 so long as Red Aggro stays Tier 1. That being said, this card has few applications out of Standard and that makes me happy to be trading these out at the current $5-6 value heading towards FNM this week. Having appeared in a ton of GR decks this weekend, with 5 copies appearing in the Top 8, and another 3 being played in Brian Kibler’s 8-1 G/W Mid-Range deck, Nissa has managed to gain $5, from $25 to $30 on the weekend. Like Jace, this latest incarnation of the Zendikarian mage has strong potential to push $40 if she can help win a major tournament in the coming weeks, but most of benefit from having pre-ordered her under $20 is likely already baked in. If you’re holding extras you can feel free to unload into profitable trades, perhaps by targeting some underpriced modern staples from MM2. Otherwise, hold onto your playset as Nissa is likely to be a viable staple for most of her time in Standard. Despite zero copies appearing in the Top 8, Demonic Pact decks pushed very deep into the tournament and spent a lot of time on camera. Perhaps even more exciting is the fact that multiple color combinations, from Abzan, to Sultai and G/B, all seem to be viable builds, alluding to the possibility of deeper demand for this dangerous mythic rare. With all that going on, the card has spiked (pushed at least partially by one or more targeted buyouts) from $5 up to $13 and back down to $8-9 after it failed to Top 8. Though I’m not super excited to pick these up at this level, I am more interested in the MTGO versions around 2.50 this evening. I’ll also be keeping an eye out to get back in around $5-6 if post-tourney deflation opens back up the door on solid future profits should the card manage to take down a big event later this season. He didn’t Top 8, but he was solid all weekend and you better believe the naysayers are going to be quieter moving forward. 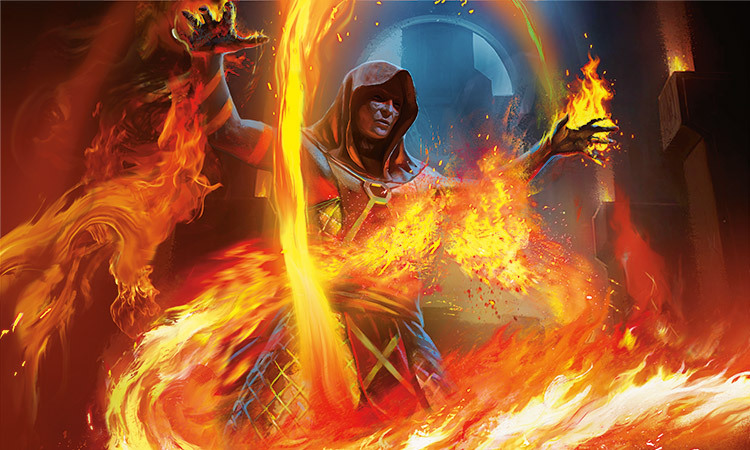 Fitting into decks from Jeskai Tempo to Demonic Pact and UB Control, this multi-faceted planeswalker continues to defy expectations via explosive turns where it provides multiple plays. The price being over $30 means it’s an almost certain sell position for extra copies, but continued success at high levels should keep it in the top tier of Standard card prices. After a dominant spring as a driving force behind the Esper Dragons decks, the U/W Dragonlord with the bulletproof behind was largely off the radar this weekend. At $15 or so, I’m looking for the card to drop a bit further towards $10 before picking some up on the hopes of renewed success sometime during the ’15-16 Standard seasons. Our own Guo Heng Chin however thinks the card is a solid pickup even at the current prices. Reinforcing this position is the fact that an Esper Dragons deck actually went 8-1-1 in the hands of Robin Dolar. Had Dolar done better in his drafts, perhaps we would have seen Ojutai in the Top 8 again so best not count him out quite yet. Thanks so much for following along with us this weekend. We’ll see you next time for Pro Tour: BFZ in October! It is really interesting to see none of the top Origin decks running Willbreaker. It is (in my opinion) one of the top cards to come out of Origins, and I expected to see it in the top 8, but the best decks for it may end up being Modern. Don’t know modern well, and I can see it being a casual semi-hit, but a 5-drop 2/3 with a situational effect, that’s rarely immediate is pretty optimistic. Prophet of Kruprix seems like a good comparison, yet Prophet seems far more powerful, reliable, and… uncompetitive. At 2/3 they both “die to everything” except when Willbreaker dies there’s a good chance to get blown out completely. Yeah, that card is far to risky to play at a pro level. No one wants to get blown out by a Lightning Strike of Bile Blight while on camera.